Well hello. It's your amazing nurse Trinna, just taking this opportunity to spread some love. First Aid Reminders: As spring approaches remember those little creepy, crawly friends and be prepared to administer first aid for bites and stings. What is it you say? Well simply put all bites and stings should be cleaned with soap and water and provider follow up for any bite or sting that breaks the skin. Be ready to assist those who may have breathing or heat related emergencies. Please take a first aid course so you will be prepared to handle these situations and more as a First Aid provider. First Aid Training at TrueCare is fun, interactive and equips you with the knowledge and skill to act in an emergency. Not close enough to attend, please reach out to me so I can assist you in finding a class close to you. Instructor Training Course: Want to be a First Aid and CPR Instructor? TrueCare is offering the American Safety & Health Institute (ASHI) Instructor Development Course on March 30, 2019 from 9am - 2pm. What a way to make a difference in your organization, as well as, society. This is a blended learning course, there is an online portion with cognitive testing then you will come to TrueCare for the hands on training. Please contact us for more information on this course offering. Consulting Services: Reminder, we offer consulting for DON's, infection control, quality improvement and other skilled nursing areas. We will help you get on track for delivering quality care using evidence-based solutions. Flexible schedule and short term contracts available. Please contact us for more information about these services. With temperatures reaching record highs in parts of the country, I thought I'd drop in with a few summer tips, from the NURSE. 1. STAY HYDRATED. The body is constantly losing water, so replacing it is key to surviving the viscous summer heat. Although there are differences in the suggested water intake, I find following the 8 x 8 rule simple and easy to remember. At least 8, 8 ounce glasses of water per day, about a half gallon. 2. REMEMBER THE ELDERLY. Check on your elderly neighbors. The elderly tend to have decreased perspiration, which is known to aid the body in cooling. Without this assistance the elderly are more vulnerable to be victims of heat related emergencies. So let's remember to keep our eyes and hearts open as we look out for our elderly. 3. CHOOSE COOLING MEALS. This one may get me in trouble. I know everyone loves a good home cooked meal, but this sweltering summer heat is not the ideal environment to turning on the stove. Chose foods with lots of water content, such as raw vegetables and salads. If you absolutely must have that HOT dinner, consider grilling instead. 4. STAY IN THE SHADE. If we are going to be active in the outdoors during extreme heat waves, find a shady space to call your own. I'd also suggest wearing a hat and limiting your time outside. Well that's it for today folks. Enjoy this HEAT and stay safe. Trying to get consistent with this blog writing. I will be posting weekly for now. I am also starting to be more consistent with my Podcast on Anchor, more about that to follow. 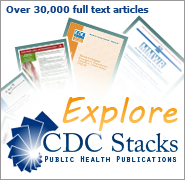 For now, I found these great resources on CDC and they are free. Various topics about healthcare, safety, etc. I hope you enjoy, I'm headed back over to order some things for my clients and students. Thanks for stopping by.....Until next time. Just a few words to let everyone know what is happening at TrueCare. Well we've been BUSY. New services being offered. 1) Advanced First Aid - prepares individuals to respond to and manage more complex issues than a basic first aid responder - great for healthcare and non-health care providers. 2) Child and Babysitting Safety - for ages 11-15 years old. Teaches the basics of babysitting and also includes development of flyer, resume and business plan. This is a two part class. 3) Instructor Development Course - this course will prepare and certify individuals to teach American Safety & Health Institute courses (must hold current certification in courses you wish to teach). Which CPR course do you need?